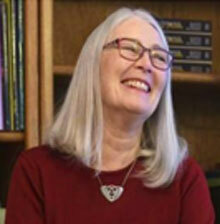 M iantae Metcalf McConnell will be doing a book signing at Montana House on July 21 from 4:00-6:00 PM. 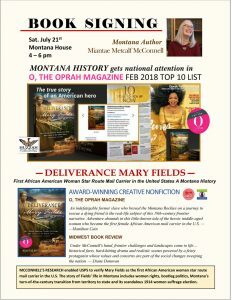 Her book titled Deliverance Mary Fields won national attention in ‘O, The Oprah Magazine’ in February 2018 top 10 list. Come visit with Miantae and learn about the amazing woman Mary Fields was.